HomePoliticalWho started Digital India Rajiv Gandhi or Narendra modi? Who started Digital India Rajiv Gandhi or Narendra modi? Today with the talk about how digital India will affect us, There is one more discussion going on and that is Who started digital India? Rajiv Gandhi or Narendra Modi? 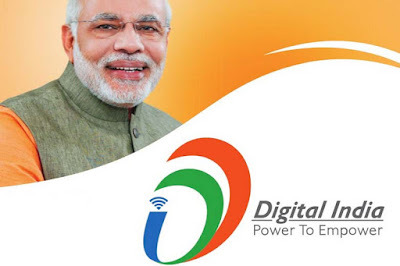 According to Congress the Digital India Programme was really launched by former Prime Minister Rajiv Gandhi and taken forward several notches by the UPA government during its 10 year rule. On the other hand BJP is giving all the credit for digital India to our honorable Prime Minister Narendra Modi. Oh key Maybe Congress is right about the first part that Indeed Digital India programme was launched by Rajiv Gandhi who employed former Rockwell International executive Satyanarayan Gangaram Pitroda popularly known as Sam Pitroda (born 4 May 1942) is a telecom engineer, inventor, entrepreneur and policymaker. He was born in Titilagarh, Odisha, India. In 1964, he traveled to Chicago to study electrical engineering. As his adviser on public information infrastructure and innovation. During Gandi's time in office, public sector telecom companies MTNL and VSNL was developed. According to Pitroda, Gandhi's ability to resist pressure from multi-national companies to abandon his plan to spread telecommunication services has been an important factor in India's development. According to news website Oneindia, "About 20 years ago telephones were considered to be a thing for the use of the rich, but credit goes to Rajiv Gandhi for taking them to the rural masses". Pitroda also said their plan to expand India's telephone network succeeded because of Gandhi's political support. According to Pitroda, by 2007 they were "adding six million phones every month". Gandhi's government also allowed the import of fully assembled motherboards, which led to the price of computers being reduced. Forbes India says, "The seed for the information technology (IT) revolution was also planted during Rajiv Gandhi’s time. But the real question is how much congress government work on the concept of digital India? They did nothing from Rajiv Gandhi till Narendra Modi become the prime minster of India there was not much work done to make India Digital. But all that just might change as PM Modi unveiled the Digital India project, a pet scheme of the Indian govt. that aims to connect all gram panchayats by broadband internet, promote e-governance and transform India into a connected knowledge economy. In reality other than Rajiv Gandhi none of the congress leader work on the concept of Digital India, So they does not have any right to doubt Indian government under the leadership of Narendra Modi. Modi was easily able to defeat Congress with the agenda of development and still congress leaders are not ready to learn anything from their defeat.